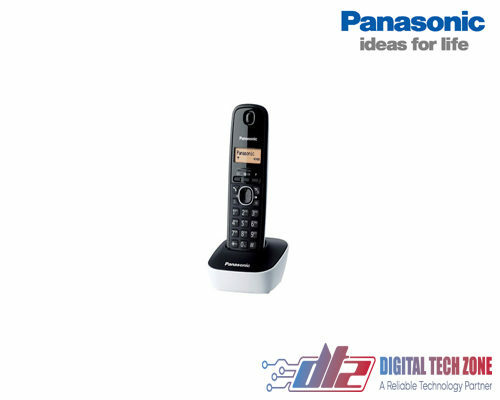 Enjoy simple and easy operation the Panasonic KX-TG3721 digital Gigarange tele-cordless handset. The 2.4 GHz Frequency Hopping Spread Spectrum (FHSS) Technology provides clear sound over longer ranges- as well as digital Security to prevent eavesdropping. 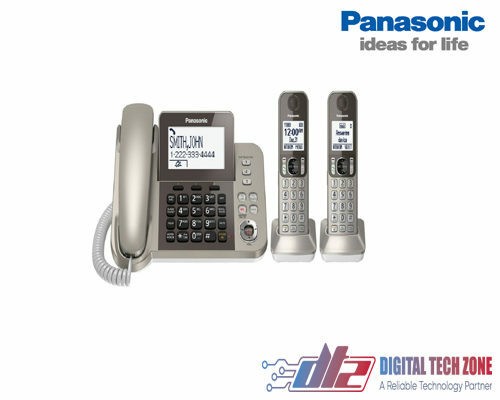 This phone is designed 2-digit message counter digital answering system.Digital Speakerphone allows you to answer the phone and talk handsfree out interrupting what you’re doing. Light-Up Indicator Ringer Alert on the handset lights up in amber when there is an incoming call for visual confirmation. 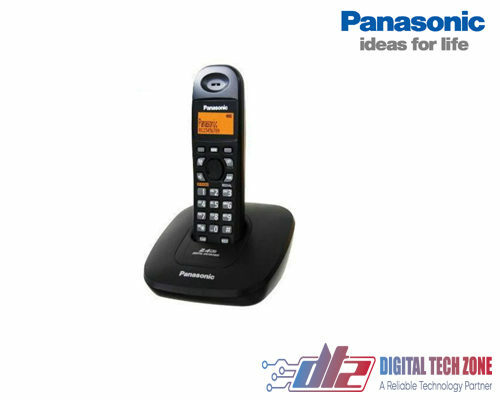 Caller ID system offers 50 name and number caller ID memory and the phonebook stores 100 contacts.Illuminated amber 1.8 ” LCD backlit Display lights up when you get a call or touch a key- so you can see who is calling and operate the phone easily even when it is dark. 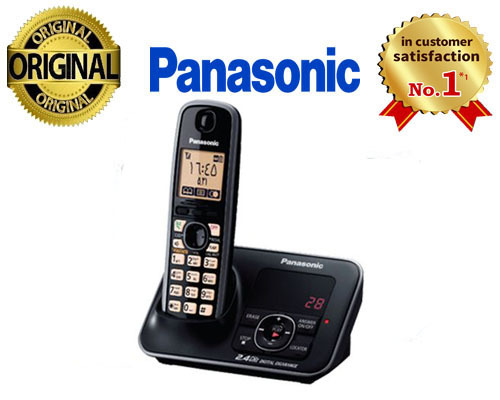 The handset features a sleek and slim design a non-slip shoulder pad. A powerful battery back-up system helps you stay connected temporarily even when the power goes out. 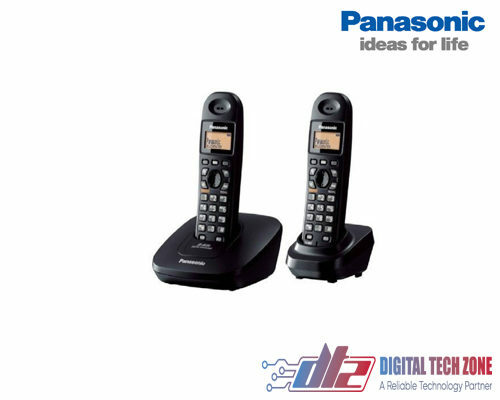 Keep a charged handset in the base unit and you can still make and receive calls the other cordless handsets.